Join us for the Metropolitan Wilmington Urban League’s Annual Meeting. 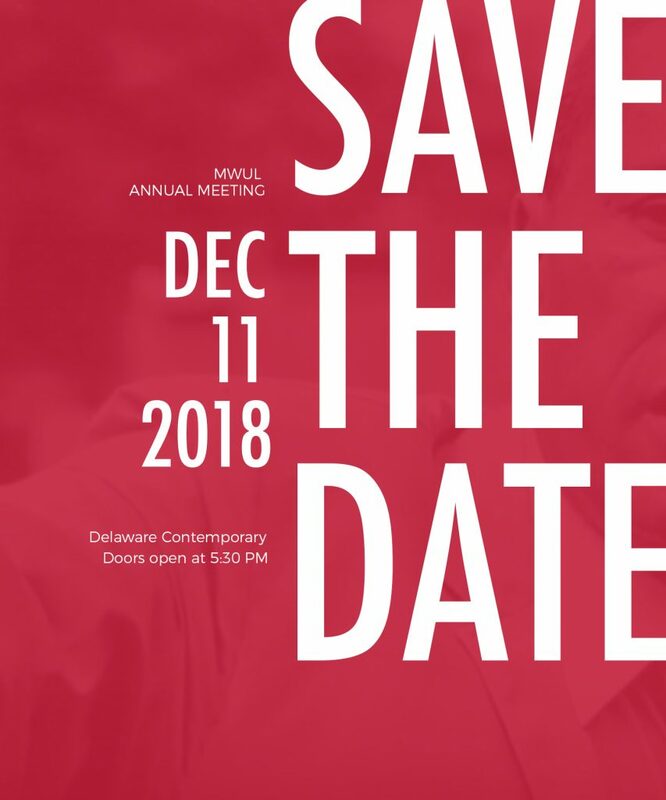 On Tuesday, December 11th at the Delaware Contemporary to reflect on the work and impact of the Metropolitan Wilmington Urban League or the past year and our vision toward the future. Meet others who are a part of the Urban League movement and learn how you can help us meet our mission of empowering lives and changing communities. For more information please reserve your spot at the meeting or contact our offices at 302-622-4300.